It's believed that millions of such accessories are legally owned in the U.S. — prized by gun enthusiasts for recreational shooting and self-defense. It's unclear how many rounds those magazines could hold, but cellphone videos taken by concertgoers recorded bursts of gunfire so rapid and sustained that it sounded like a battlefield. Authorities say Paddock opened fire Sunday from broken out windows of his 32nd floor hotel room, killing 59 people and wounding hundreds more at an outdoor country music festival. Police stormed his room and found he had killed himself after committing the deadliest shooting in modern U.S. history. Louis Klarevas, author of "Rampage Nation: Securing America from Mass Shootings," said it was likely Paddock was using some form of a high-capacity magazine because he fired so many rounds in a short period of time. "That was non-stop rapid fire," he said. 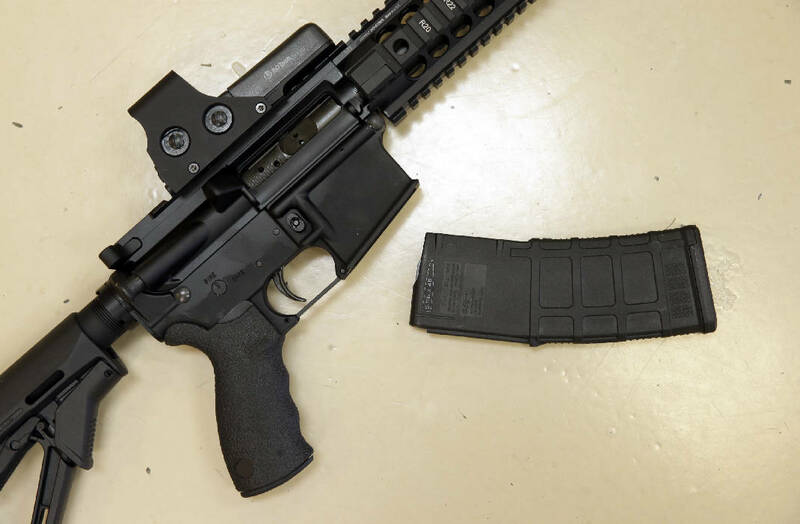 However, the law was blocked in June by U.S. District Judge Roger Benitez, who warned that it would turn law-abiding citizens into criminals if they didn't give up their high-capacity magazines. He intends to issue a final ruling later but believes the law will likely be declared unconstitutional. "Not now," spokesman Mike Bazinet said Tuesday. Former Connecticut House Speaker Brendan Sharkey, who helped enact his state's restrictions in 2013 after the Newtown killings, said he has heard no complaints about the law. He said there is bipartisan consensus that high-capacity magazines should be limited. "The time has long passed for Congress to pass these types of restrictions," he said. "And in the absence of that, more states should."